General Admission tickets are standing room only. No seating is available with this ticket. 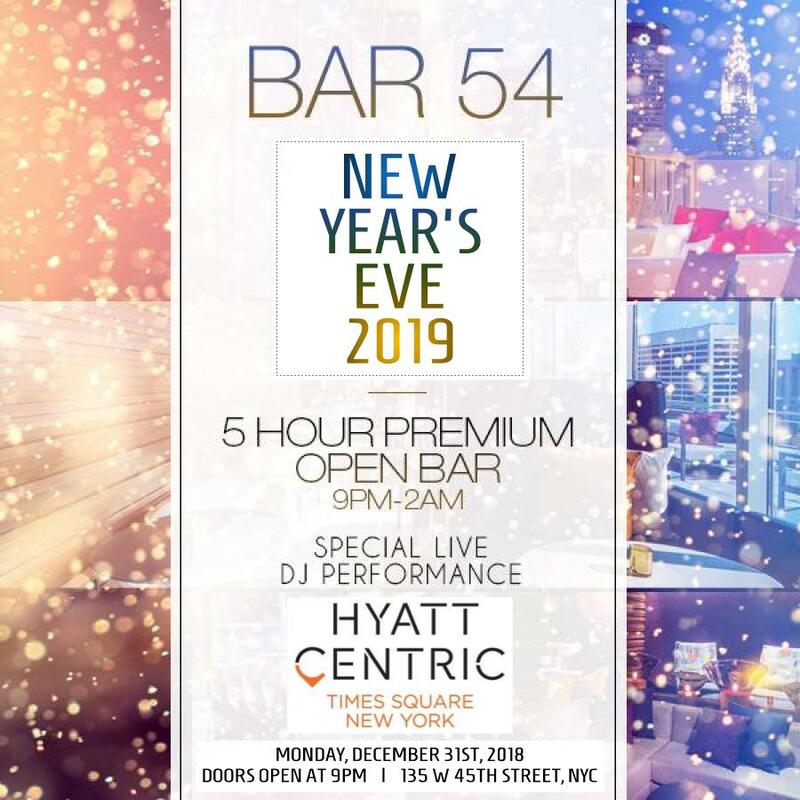 Atop the Hyatt Centric Hotel Times Square, at Bar 54, catch a thrilling view of the Live Ball Drop this New Year’s Eve and indulge in the most magnificent NYE experience New York City can offer. On New Year’s, Hyatt’s Bar 54, NYC’s tallest rooftop bar and upscale Times Square penthouse lounge is delivering a spectacular live view of the Ball Drop with a breathtaking vantage of the famous NYC skyline. Along with an open bar, DJ music performance and New York’s most refined nightlife crowd, Bar 54’s NYE party is sure to be one elegant, megawatt celebration. 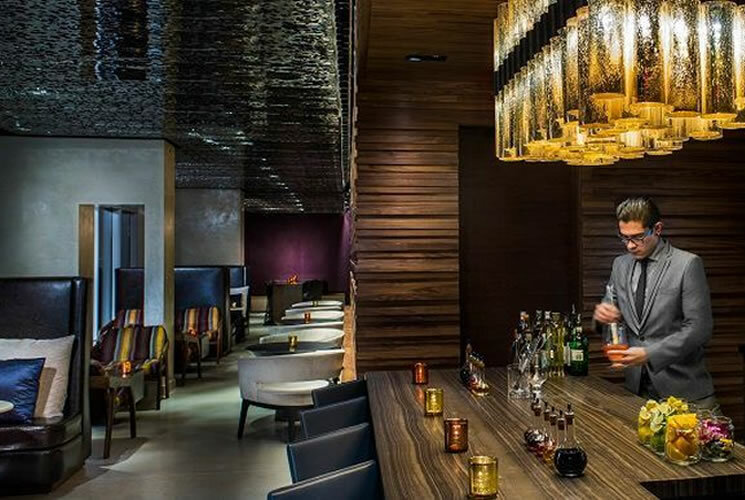 See the resplendent Times Square Ball Drop, live, this New Year’s Eve and get a taste of the New York City high-life at Hyatt Hotel’s Bar 54, the tallest rooftop lounge in NYC. 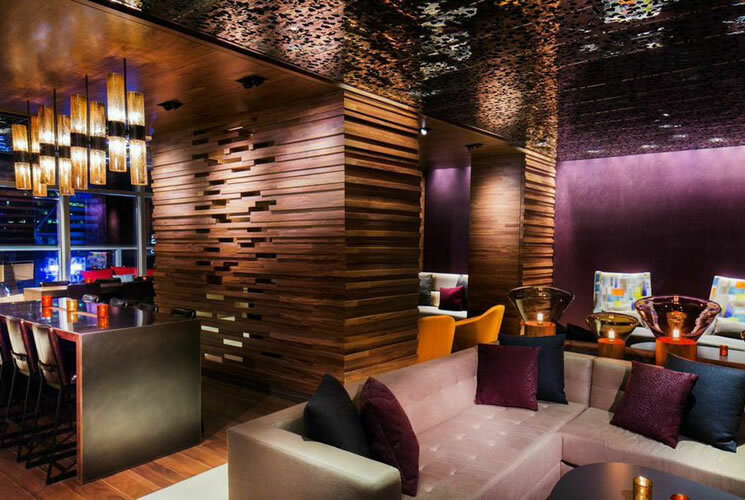 Take in the dazzling sweeping cityscape as you mingle with New York’s most gorgeous partiers over a 5 hour premium open bar. And with complimentary amenities like delicious early evening passed hors d’oeuvres and festive NYE party favors, there will be plenty to satisfy any remaining party appetite. When you’re all fueled up, join high-spirited revelers on the dance floor where a live DJ will be turning up the heat with the hottest beats of Top 40, Hip Hop, House and Mash Ups. When the night reaches its climax at midnight, head out to the outdoor terrace and join in the most electrifying live count down in the world: the Times Square New Year’s Eve Ball Drop. With the skyline as backdrop, the sublime Ball Drop as highlight, and a complimentary champagne toast to boot, this New Year is going to begin in glorious style. To make your NYE experience even more majestic, opt for a special VIP packages to enjoy swanky bottle services and other exclusive amenities. Have a top-of-the-world celebration this New Year’s at Bar 54, where a glorious live view of the famed Times Square Ball Drop and NYC’s sweeping skyline set the scene for an electrifying NYE party you won’t forget.